Open a magazine, turn on the telly or watch a movie and you’ll be faced with ONE type of body, ONE standard of beauty and an obsession with thinness...all of which feeds into what is commonly known as: diet culture. In short, the vast majority of diets do not work...but not many people know this! 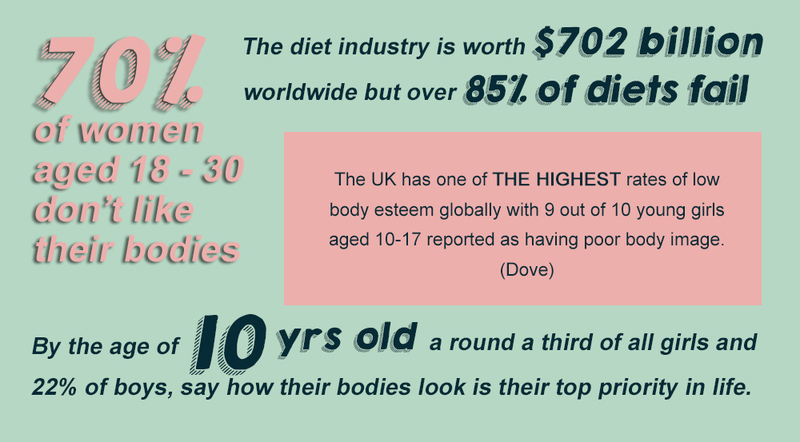 So while the industry continues to pump out shakes, laxative pills and expensive diet plans - we keep thinking it’s OUR FAULT that we can’t get ‘a perfect body’. We live in shame at not having society's ideal body, but statistically and biologically we're unlikely to actually achieve it. We're Anti Diet Riot Club and we believe that unrealistic beauty ideals, poor body image and a society obsessed with dieting is doing long term damage to our physical health, mental wellbeing, and capacity to live our best lives. 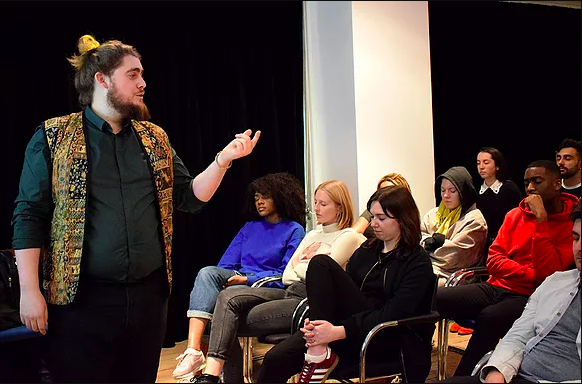 For the past 14 months Anti Diet Riot Club has been hosting workshops, events and meet-ups - mainly in London - that create a supportive space for the hundreds of people who are exhausted with hating their bodies. Our events are for everyone but we find young women are especially in need of this message. Through events, workshops and online content we inspire people to STOP waiting to achieve their "goal weight" and start living their life to the fullest NOW. You and your team will be guided through a series of novel experiments to provide insight into how your mind works (and why it can work against you!) Drawing on the latest scientific findings on the emerging research field of psychological resilience, Michael will reveal why our current methods for coping with change and adversity aren’t sustainable. You'll get an intro to 'Mixed Mental Arts’ - a toolbox of practical techniques to begin your own resilience journey. 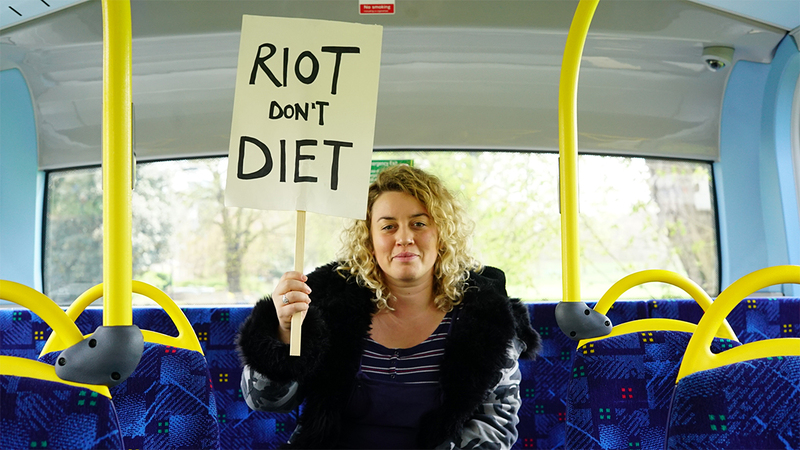 Becky Young founded Anti Diet Riot Club in January 2018 to create an IRL body acceptance community in London (something she was lacking personally). She wanted 'body positivity' to be more than just inspiring quotes on Instagram, believing that radical support networks and practical tools can help people heal disordered relationships with food, exercise and their bodies. Becky first started dieting at the age of 13 or 14, and continued to yo-yo diet and struggle with her body image well into her 20s. For the last 3 years, she's been learning how to take care of herself irrespective of her weight or size and prioritising her mental well being above the desire for thinness. Producing and programming events has been a passion and career for almost a decade. You’ll get a shout out on our Instagram stories for being the LEGEND that you are (leave your handle in your message & we'll try to tag you too!) and we'll pop you an ADRC sticker in the post! 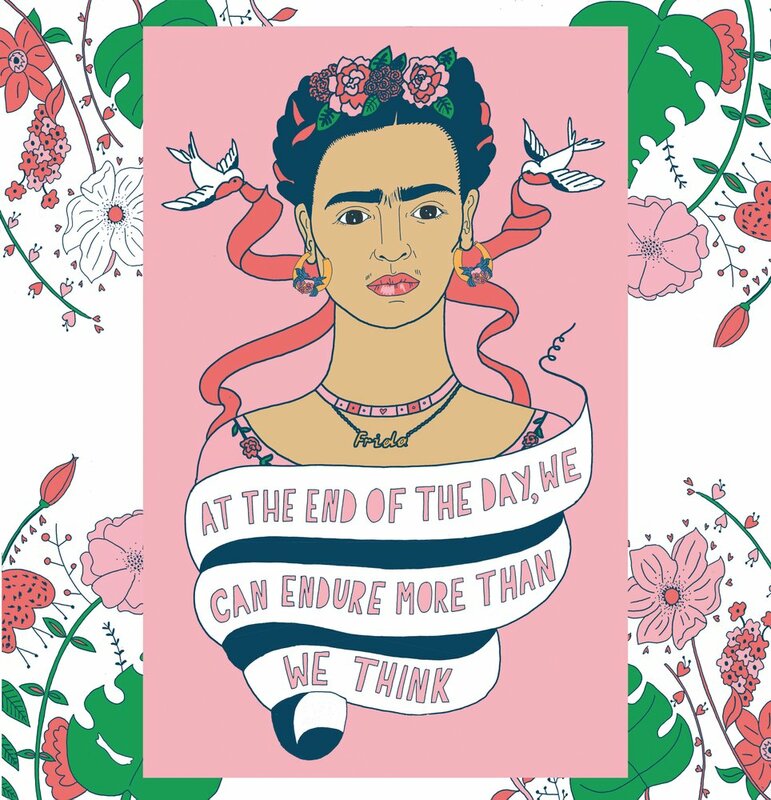 A3 Frida Kahlo print from one of our favourite feminist illustrators Alice Skinner + an original ADRC tote bag. 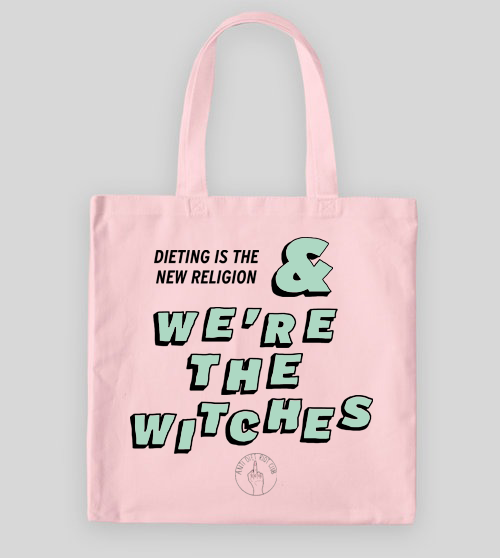 A limited edition Anti Diet Riot Club x Emma Zentner WE'RE THE WITCHES Tote Bag + ADRC sticker + a shout out on Instagram! We'll have your name engraved on the inside of the bus so that your support & generosity will be remembered always AND we'll give you a much deserved thank you on social media! Become an Anti Diet Riot Member! Become a fully fledged member for a year! 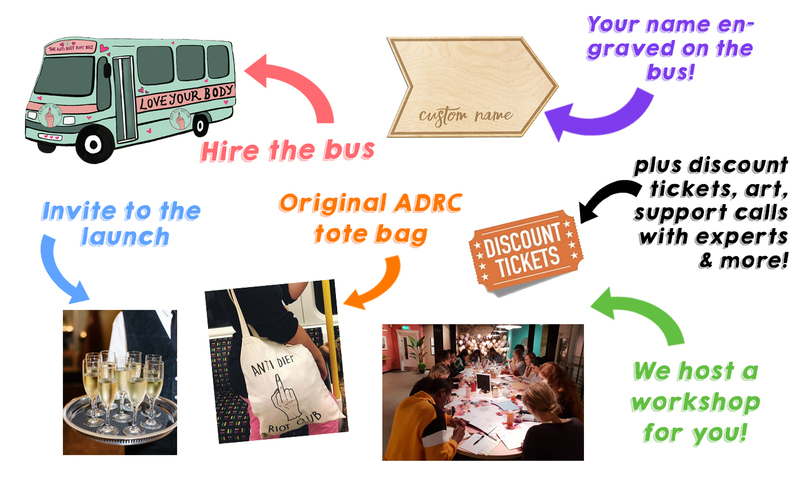 Get free/discounted tickets to all our events for 12 months + an Anti Diet Riot Club original tote bag + access to our new Facebook community group + an invite to our summer launch event! Kat Horrocks is a women's life coach and host of one of our fave podcasts. This reward will get you a 90 min in person, 1:1 coaching and self-care support session with her for a small/independent business owner or freelancer (worth £150 and including a 20 minute Skype consultation with Kat and follow up support and resources via email) Kat's travel expenses from Manchester not included and are to be agreed via email. You'll receive a 60 min coaching session (via conference call) with Harri Rose, certified Health & Unapologetic Body Acceptance Coach. We will come and hold a 90 min 'body positive' focused life drawing workshop held at your - UK based - home for up to 20 people (not including travel) + you'll get a ADRC original tote bag at the workshop. Michael Matania from Tough Cookie can host a crash course session in 'mental resilience' and mindfulness for your company or team in the UK - worth over £400. 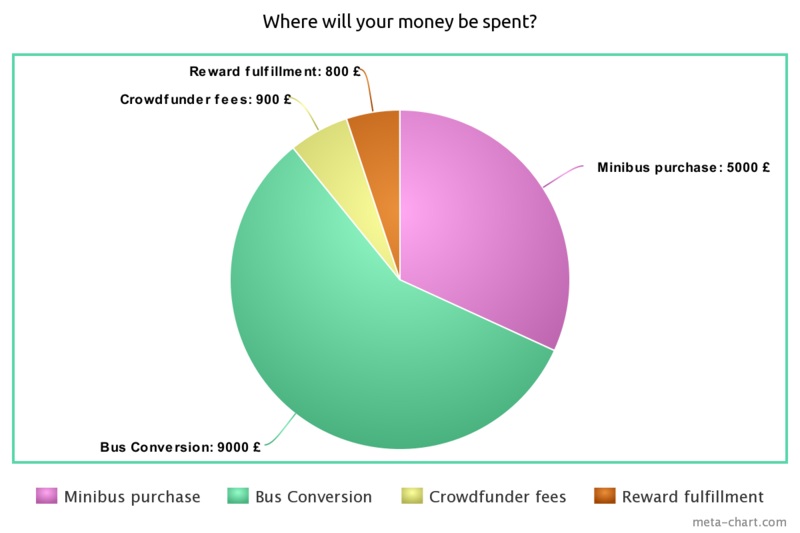 Travel expenses outside of London are not included & to be discussed. 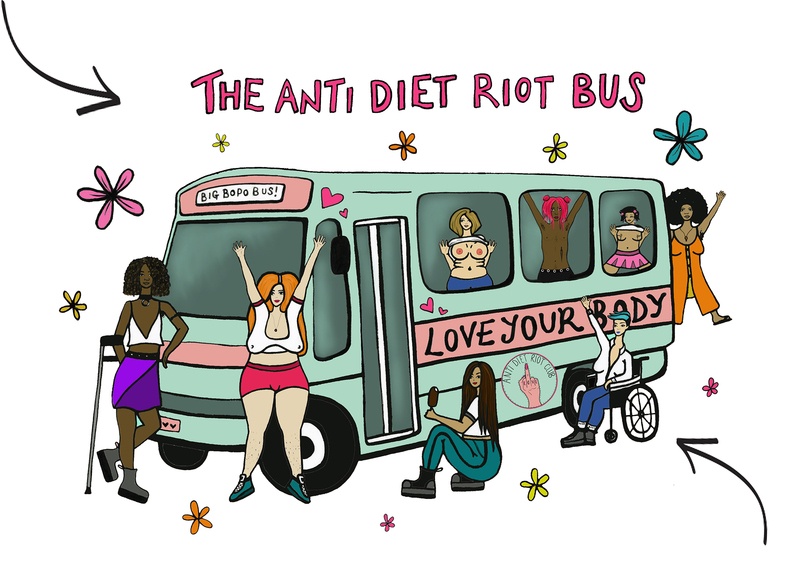 If you're based in the UK, we will bring the Anti Diet Riot Bus to you or your workplace. 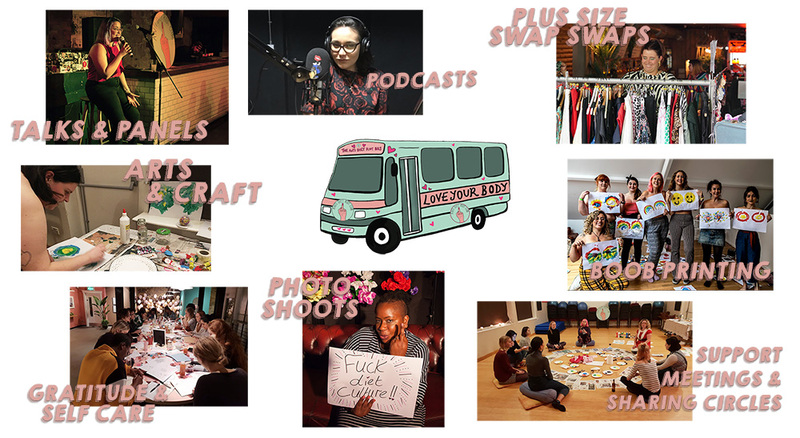 From the bus we will give a talk on Diet Culture & Body Acceptance and you have the option of us hosting our Gratitude Journalling or Life Drawing workshop too. Fuel costs are not included. The Bus is Yours ALL DAY! Your company logo will be featured as sponsor inside the Anti Diet Riot Bus, on our website and pride and place at the launch event in 2020. Plus the bus will come to your company/workplace and deliver a workshop for you and your team. This reward is subject to our brand guidelines, please get in touch if you're interested!